Simple and playful, two words that sum up yet another production from Tulika. 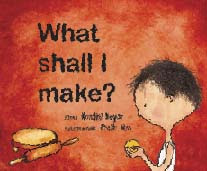 Neeraj is a small boy, self-questioning what shall I make?, with a rotund piece of roti dough squeezed between his palms. His creative juices in full flow, he shapes the ductile dough to give birth to lively creatures. His mother joins the fun. A snake at first, then a mouse, anatomically close to perfection, with a pair of eyes, a body and a tail. Then a cat that soon morphs into a fierce lion. All seem realistic and fully animated in the creator's eyes. Neeraj is quick to deform the scary lion back into its initial state and start afresh with a small soft ball of dough. This time, he flattens it and generously rolls it into a neat circle. His mother then proceeds to toast it on the tava, completing the culinary procedure. The grand finale is when a round hot puffy chapati lands on his soft palms, ready to be eaten! The book is more than a book - a down-to-earth culinary project for small children; the making of a chapati, a favorite that has withstood the wrath of time in the Indian household. Ample scope for turning kitchen interference from small children into wholesome fun! Needless to say, a play doh equivalent, the dough is like a blank canvas. It triggers creativity in little minds and acts as medium to help them give shape and life to their favorite objects and scenes. For those who have not yet had a chance to discover the hidden power of chapati dough, the idea is fresh, hot and totally Indian! A very lively review and the concept hits close to home. Akhil loves to dip chappathi balls in the flour and hand over to me, and its such a family thing now. I am just amazed at all the forms that Neeraj created. Would looove to see how it looks in the book. Too bad they don't loan it out in the library. glad to see posts coming thick and fast! I am lovin it! LOL at the title - flour power! What fun, hahn? I see that the creative juices are in full flow not just in the books we review, but the reviews themselves are quite a treat! can't wait for more...do I even get a turn, or stand a chance, I mean?? sounds like fun! this goes into my books-to-buy list when i visit India next year:-) And this list is growing fantastically thanks to ST's wonderful contributors ! Sooraj and me already do this dough activity :-). Whenever I make these chappathi balls I have to make one extra ball for him. After I finish making the rest, he takes this last ball and either rolls out a chapathi just like me (imitating all my steps !) or starts creating something out of his imagination. If it is the former, he will be in a hurry to see it on the tava ! So he will climb on to the kitchen "medai" and sit there watching me put his chapathi on the tava. I will "ooh..ahh" over how nicely his chapathi has also puffed up like mine and will ask him if it was okay if I ate that, since it looked delicious :-). With a smug look on his face he will decide who gets to eat "that" privelege chappathi !!! 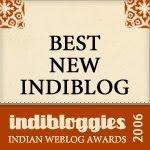 I am coming back to this blog after quite a while...can't tell you guys how very useful this is. I grew around books and would love for my chintu to like books...and this is a great resource for me..thnx!